At the Tonto Verde end of the trail, limited parking is available on a wide gravel shoulder south of N Palo Fiero Rd just west of the entry to the park. 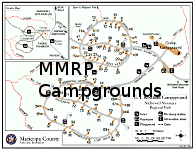 Access to the park is provided via an unmanned gate; nearby is an "iron ranger" which is used to pay the walk-in entrance fee for McDowell Mountain Regional Park. If you drive to this trailhead, you will drive south on N Aguila Dr. At its southernmost end, N Aguila Dr. turns to the right so that you'll be heading westward on N Palo Fiero Rd. Look for the park entrance to the left immediately after making this turn. The shoulder mentioned earlier will be just beyond the entrance (also on the left). The western end of the Verde Trail provides scenery similar to that found on the North Trail. The Verde Trail is considerably less scenic at its eastern end. The Verde Trail is an easy trail to follow. Starting from the northeast end after entering from Tonto Verde, it proceeds in a mostly westerly direction, trending somewhat south, though also occasionally wandering back slightly to the north. At just under a quarter mile, it'll cross a wash and then cross the same wash again just a short ways (0.05 mile) later. Half a mile after that, it'll cross that same wash yet again. After proceeding another tenth of a mile (just under a mile along the trail total), it will cross a service road. A short while later, it crosses a small wash and then heads south and very slightly east. The trail then makes a gradual turn to the southwest, crossing one more wash prior to intersecting the North Trail at 1.2 miles. 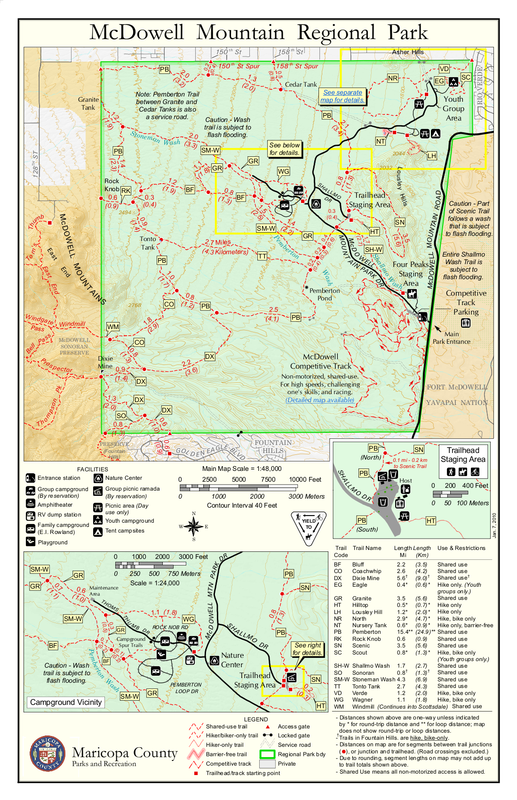 Once you get to the North Trail, you can hike the loop formed by the North Trail (in either direction) and then return via the Verde Trail. The North Trail loop will add 2.7 miles to the 2.4 miles of the Verde Trail, making it a hike of just over five miles total. 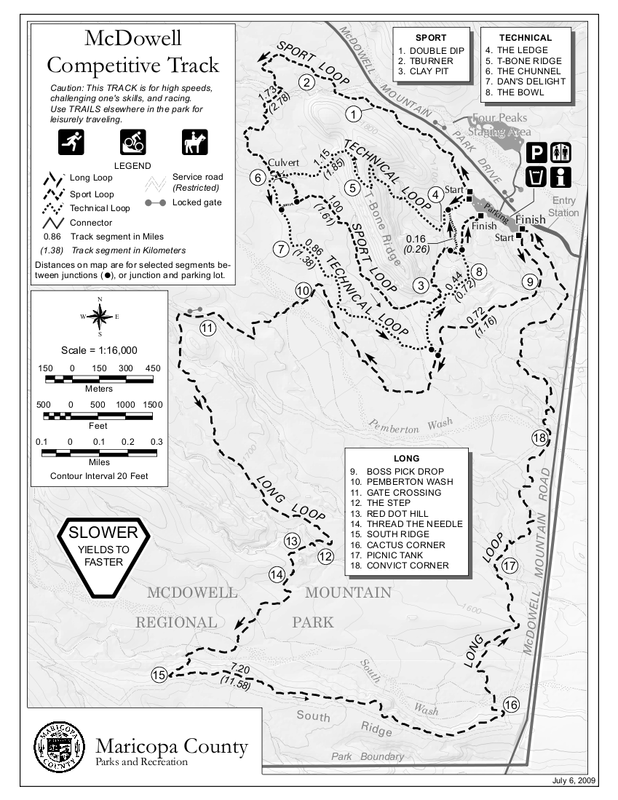 The Verde Trail may also be hiked from the western end by first hiking the North Trail. In this case, I recommend proceeding eastward and turning back perhaps a quarter mile before reaching the east end where the views are less compelling. 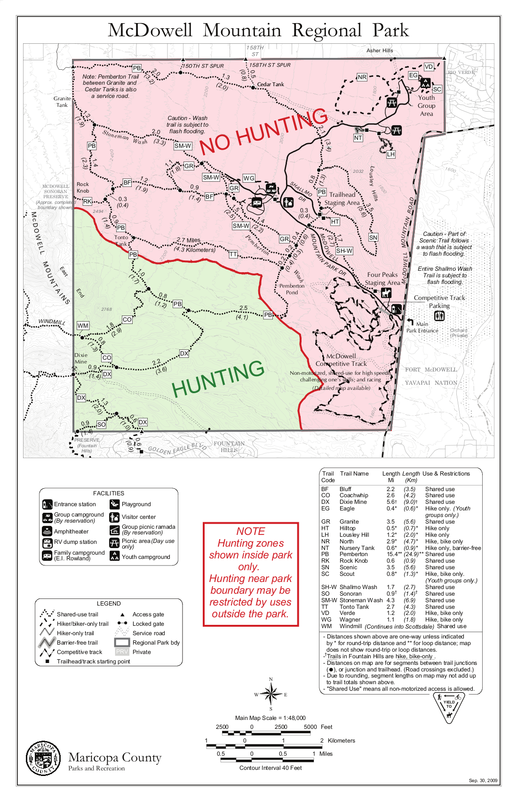 Even longer hikes are possible by incorporating the Chuparosa Trail which will be encountered midway around the loop comprising the bulk of the North Trail. 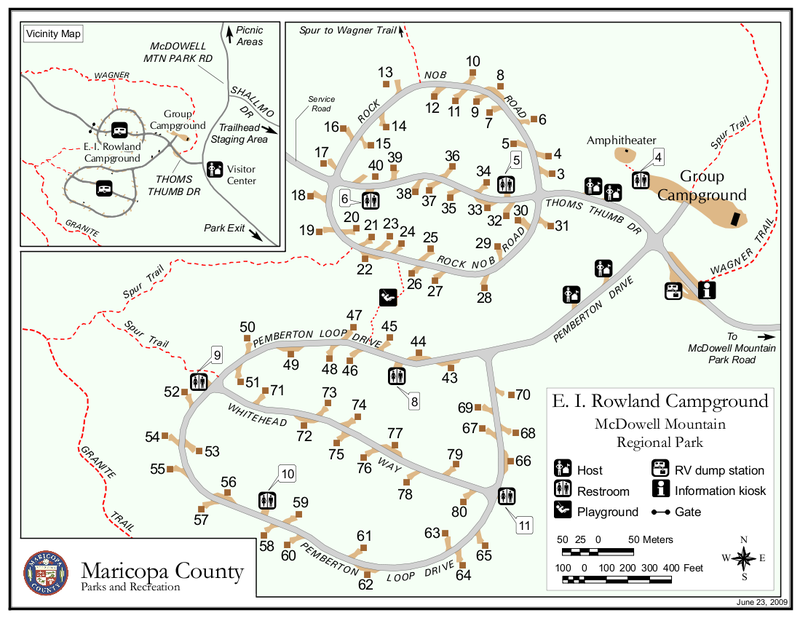 To get to the Tonto Verde Trailhead, from central Phoenix, take Loop 202 east to Beeline Highway (SR 87). Continue northeast on SR 87 to Shea Blvd. Travel west on Shea Blvd. to Saguaro Blvd. ; turn north. Continue through Town of Fountain Hills to Fountain Hills Blvd; turn right and proceed on McDowell Mountain Road. Turn left onto Forest Rd and left again on Tonto Verde Dr; take an immediate left onto E Agua Verde Dr. Turn left again on E Pichacho Rd; continue on south N Aguila Dr. Look for parking area to the left (south) immediately after turning right (west) onto N Palo Fiero Rd.